Details of new salary scales under the new pay offer. 10 reasons Scotland's teachers deserve a 10% pay rise. An infographic showing the progress of the Value Education Value Teachers campaign so far. Resources for publicising the campaign in your establishment. A selection of press releases relating to the Value Education, Value Teachers campaign. 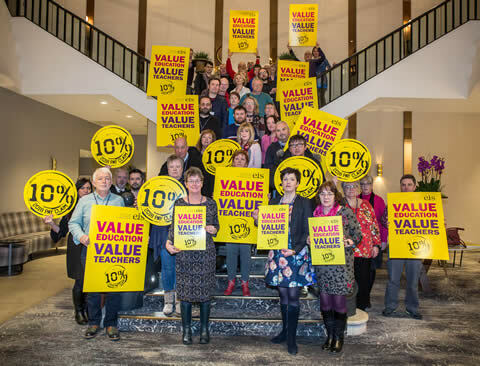 Footage from the Value Education, Value Teachers Rally at the 2018 AGM in Dundee.